If you're an obsessed a passionate fan of ABC's Lost you're probably already planning how you're going to watch the two and a half-hour series finale on May 23rd. Some will watch it with a crowd as part of a finale party, some will watch it with just a small group of friends and some will be watching it alone, in silence, with a knife at the ready to take care of anyone who dare interrupts the episode. If you're a fan of Lost, you'll also probably be aware that ABC is making a big deal of May 23rd, beyond the Lost finale, by having special shows before and after the series finale. One of those special shows is a special Jimmy Kimmel Live, which will air at 12:05 a.m., immediately following the news (as if Lost fans are going to care what tomorrow's weather is after watching the finale! :P ). We've only really known that the Lost edition of Jimmy Kimmel Live following the Lost finale will feature several unknown cast members and will obviously include discussion of how the show ended and celebrate the show as a whole. But today a piece of rather exciting news has been announced: there will be not one, not two, but THREE alternate final scenes shown. Now obviously no specific details are being given about what those alternate endings might be, but I can guess that they will be one of two things: either there are legitimate alternate scenes that the producers/writers have shot to both throw spoiler-seekers off-guard and give us a taste of how things could have ended; or these alternate endings will be parody skits featuring either Jimmy Kimmel and/or cast members from the show. Strong evidence of the latter case can be found in the list of cast members scheduled to appear on Kimmel's show. The list is as follows: Naveen Andrews (Sayid), Nestor Carbonell (Richard), Alan Dale (Widmore), Jeremy Davies (Daniel), Emilie de Ravin (Claire), Michael Emerson (Ben), Matthew Fox (Jack), Daniel Dae Kim (Jin), Terry O'Quinn (Locke) and Harold Perrineau (Michael). Now the interesting thing is that Josh Holloway (Sawyer), Evangeline Lilly (Kate) and Jorge Garcia (Hurley) will only make "special appearances." Could this mean they will each be featured in one of the three alternate ending skits? Kimmel has done many Lost parody sketches on his show in the past, so it seems entirely possible spoof endings are what we will get. However, it's also just as likely the scenes are actual alternate endings in the same vein as the ones they shot for the Lost season 4 finale, where they had three alternate versions of who was in that infamous coffin. The official press release does say the alternate scenes are, "from the minds of executive producers Damon Lindelof and Carlton Cuse." If these scenes are legit, I realize some people might not be too happy about it, because there really should only be one definitive ending to the show and not a situation where you pick which one you prefer. Having said that, they're clearly labelled as alternate scenes and thus aren't the actual endings. It's just an extra treat for avid Lost fans ready to lap up anything the show has left before it sails off into the sunset for good. 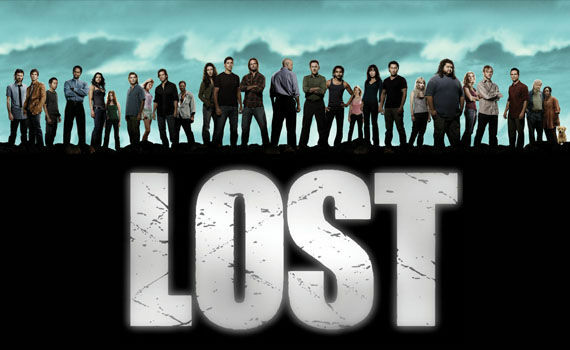 What do you think of the fact that there will be some sort of alternate final scenes shown for Lost? Good idea to give the fans that little bit extra or should there be one definitive finale with absolutely no alternate endings? What do you make of the cast members who will appear on Jimmy Kimmel Live (sweet, huh)? I'm sure you don't need reminding but just in case: you can start your "Lost Weekend" on May 22nd when ABC re-airs the 2-hour pilot. Then on Sunday May 23rd the real event begins with "Lost: The Final Journey" followed by the highly-anticipated two and a half-hour Lost series finale from 9 p.m. -11:30 p.m. Then at 12:05 a.m., tune in for "Jimmy Kimmel Live: Aloha to Lost."